Victoria Police Commander Stuart Bateson says the Bourke Street attack was "a crime of one man" and wants to continue to work with and protect the state's Somali and Muslim communities from backlash after the attack. The debate surrounding the Bourke Street attack has moved into familiar territory. Questions are now being asked as to how Somali-born Hassan Khalif Shire was radicalised, and what actions, if any, Victoria’s Muslim community could have taken to prevent the attack he carried out. Muslim community leaders have rejected calls urging them to do more, saying everything in their power is being done to prevent further radicalisation, noting their ongoing cooperation with the authorities. 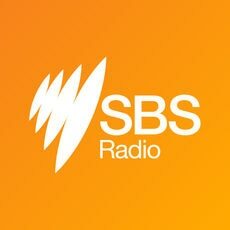 Victoria Police Commander Stuart Bateson tells SBS Somali that he agrees that the community has done enough and does not understand what else they can be expected to do considering the circumstances. As a part of Victoria Police’s Priority Communities Division tasked with diverse community engagement, Commander Bateson tells SBS Somali that the state’s police force has a strong relationship with the Islamic communities and wants to continue working with them. Asked whether he agrees with the statements of some politicians that the Muslim community needs to “do more” to prevent attacks such as Khalif Shire’s, Bateson says he is not sure what Muslim community leaders could have been expected to do in such a case. Commander Bateson also revealed that women wearing hijabs have been publicly abused in the days following the attack and urged anyone being harassed or abused to call the police, promising to act on any targeting of the Muslim community. On the subject of backlash to the Somali and Muslim communities, Commander Bateson says this crime was committed by one man, not a group of people. "This was a crime of one man - a man with complex motivations, there's no doubt. But a crime of one man, not a crime of the Somali community and certainly not a crime of the Islamic religion. That man was known to authorities. He wasn't under surveillance at the time because the threat wasn't assessed as high or extreme." Khalif Shire's attack on November 9 was quickly treated as a terrorist incident by authorities, but Commander Bateson played down the suggestion the attacker was solely motivated by "Islamic Extremism". He says the investigation of the incident will reveal the motivation of the attack. Commander Bateson says that while police have had concerns in the past about some Islamic centres' roles in the radicalisation of Muslim youth in Australia, much of the inflammatory material used to radicalise young people comes from online sources. “Well, I think there's a really strong online presence that some of these kids have been exposed to, and, generally, it's people that have been very active online and been exposed to some radicalisation through people from overseas, generally,” he says. “That's what we're seeing." Commander Bateson also says that he would like debate on these topics to be based on the imperative of bringing people together, rather than dividing them, which makes the police’s job harder.